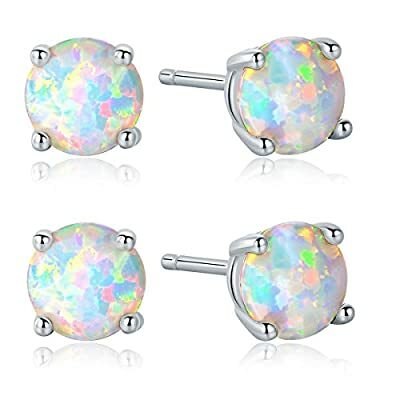 This opal earring is plated with 18K white gold, the stone size is 6mm, the opal is Synthetic Opal which produced in japan.They're not too big and not too small. The opal is very real looking and is colorful. it will be very sparkly and get a lot of compliments when you take it. This earring will come with a jewelry pouch . All the items will be stictly checked before shipping. If any item is not so good as wished, just contact us to solve it.